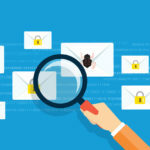 Email is one of the most commonly used methods of attack on an organisation. Spam – unsolicited emails sent in mass quantities – can cause serious problems beyond annoyance. It is commonly used as dangerous phishing attempts to maliciously obtain sensitive information, including credit card numbers, passwords, usernames, and other personal and company information. WatchGuard spamBlocker provides the advanced security your organization needs with real-time, continuous, and highly reliable protection from spam and phishing attempts. WatchGuard spamBlocker blocks nearly 100 percent of unwanted and dangerous emails, working on both SMTP and POP3 email protocols. It provides highly reliable protection regardless of the language, format, or content of the message. Most of the processing power is also done outside the Internet gateway, so WatchGuard spamBlocker requires minimal bandwidth and CPU power, delivering optimal network performance.